The idea behind Mimer Metrics is that everybody should be able to become a Google Analytics expert. If you have been to a conference about websites, online stores or even just reading the news about the latest development you know that everybody is talking about big data. Data is not only something for large enterprises because every company has data when they are present on the internet. If companies understand their data, they can make a lot of money. At the same time, the companies who doesn’t know how valuable their data is will lose in the long run. 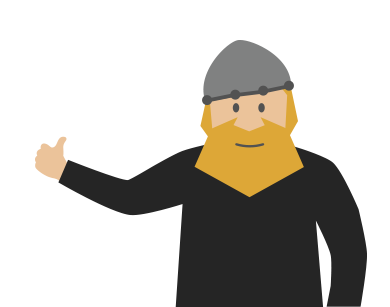 Mimer Metrics is here to help you win by making it easy for you to understand your data. If you have a business, you want to win. We can help you! We have been working with clients for many years helping them understand their data. It’s important if you want to get more customers, optimize your website and/or create better AdWords campaigns to generate even more revenue. But what if you could become a Google Analytics star yourself? Now you can be a star with Mimer Metrics. You don’t need any skills, and it’s almost so easy that a child could set it up. Everything in the world is getting simpler so why should it be so hard to understand your data in Google Analytics? Now you can finally get the data you need and create beautiful reports that you can share with the rest of your company or clients. Usually when you log into Google Analytics, you will have a long list of menu items and you have to decide which items are relevant to you. If you aren’t a Google Expert, it’s impossible to know which of the items that are relevant for your company. The problem is that you can spend a crazy amount of time without getting any data that makes sense for your business. Data is important, and we have a real passion for it at our agency, but too much data is not always better because it makes it hard for your company to make the right decisions. This is poison for a business. Luckily for you, it has never been easier because of Mimer Metrics. All you have to do is log in to your account and get started. In the menu you click Dashboard, it’s on the left side of your screen. 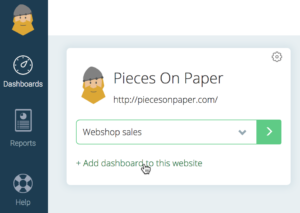 Now all you have to do is click Add dashboard to this website. From here you can choose the Dashboard that suits your goals and the data you need. You can have several dashboards so don’t worry about it. As you can see on the list, you can choose between several premade dashboards. You can also create your own if you choose the empty dashboard. For almost everyone, the premade dashboards will have anything they need. You can always add more widgets to your dashboard so you just have to choose the one that best suits your needs. 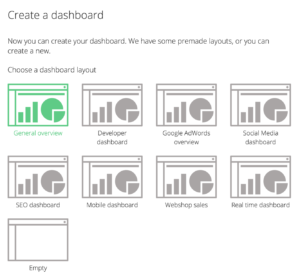 When you are done you click create, and your amazing dashboard is ready. It is just as easy to create professional reports that you can share with clients. Reports are an excellent way to give an overview of all your data. 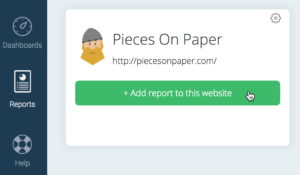 Here we will show you how fast you can create a report. Again we go to the menu on the left side, but this time we click Reports. Now you click Add report to this website. Now you choose what kind of report you need. 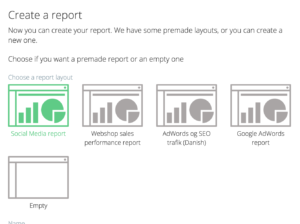 As you can see you can create different kinds of reports that show you how your company is performing. Click create and then you are done, and you get a report. So with only a few clicks, your company is suddenly experts in how to use and show data in Google Analytics. If you a not already a customer you can get a free trial right here. Then you can see for yourself how easy it is to work with data in Mimer Metrics.